After a long day of slaving in the warehouse, I returned home, showered, grabbed a couple slices of pizza and then headed to AZ Wine for a few beverages from their fine taps. I started off with a Deviant Dale’s IPA from Oskar Blues which clocks in at a respectable 8% ABV. As IPA’s go, it’s got a decent amount of bitterness but the floral hoppiness really sets it apart. On a hot day, I could see myself easily drinking 17 or 18 of these before falling from the bar stool. My next selection was a recent favorite that I’ve enjoyed for the last few weeks. 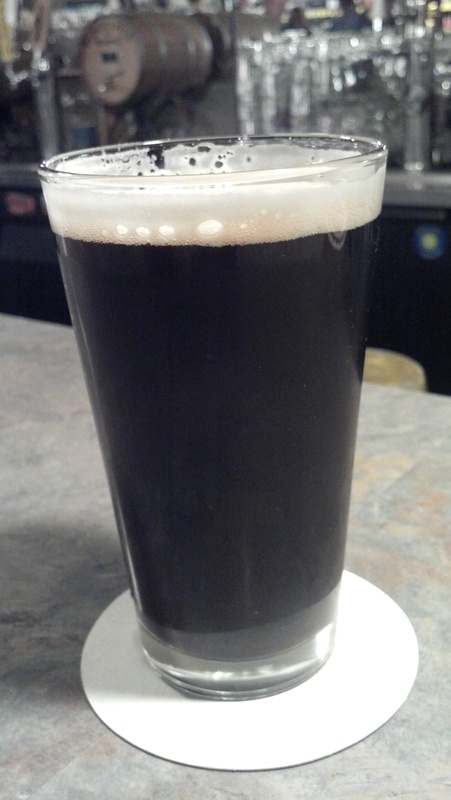 Uinta Brewing’s DUBHE (pronounced Doo-bee) IMPERIAL BLACK IPA. It’s a big beer at 9.2% ABV but it hides it very well (so I had two!). It definitely has all the hallmarks of an IPA but has a nice malty aspect to it as well. The hops is dominant for sure and even after a few minutes, you can still tell that you were drinking an IPA. A mix of citrus and pine that will remind you of the time you went on a vision quest with your Native American cousin and you woke up in a pine grove full of grapefruit trees. So, Happy IPA Day! 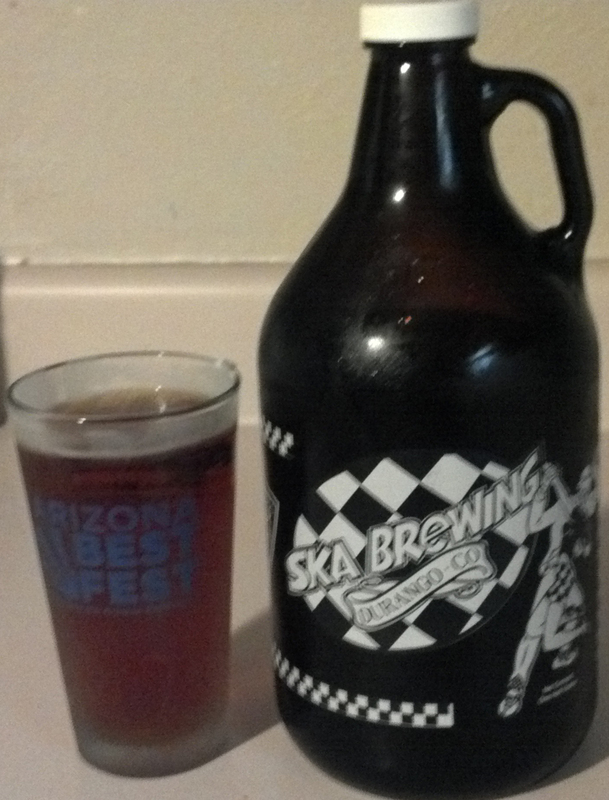 Grab a growler and come to AZ and get it filled with the nectar of your choice…anywhere that has taps! This entry was posted in IPA, On Tap by Jan. Bookmark the permalink. I'm originally from Pennsylvania, the home of the Yuengling, the oldest continuously operating brewery in the US. There I was weened on fizzy yellow Budweiser as a teenager but discovered quality over quantity just before I was of legal drinking age. I think my first clue was with Bass Ale, realizing that 1 bottle of Bass had the same effect as two Buds, but with less hangover the next day. At that time, around 1990, there weren't really any craft brews around, at least none that were available in my small city. I've been in the Valley of the Sun here in Arizona since "winter" of 1991 and began my craft beer Odyssey shortly thereafter. They weren't called "craft beers" back then but microbrews. Anchor Steam and Sierra Nevada were among the first I tried, and man were they eye opening at the time. From what I remember, we had only one local brewpub back then, in Tempe, called Bandersnatch. They brewed a delicious Milk Stout. Four Peaks opened in 1997 and went on to prove and inspire that good, local beer could become extremely popular and profitable. Since then, many new breweries have opened around the Valley and around the state. While not the craft brew mecca that CA has become, AZ is holding it's own with many diverse offerings across the immense beer palate. I love beer!